This was intended for the Ayacon 2003 conbook. They stopped accepting entries when I was about half-way through this, in July of that year, so it was never submitted. It was drawn, scanned and coloured on the computer. 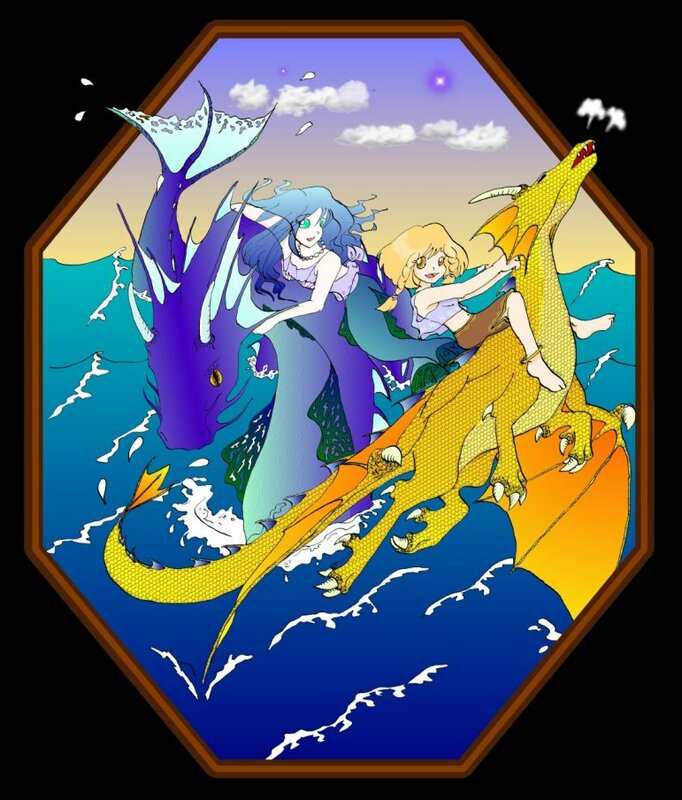 The mermaid is Aya, the mascot of Ayacon. The other girl is Kite, from Looking for the Sun.